A friend recently reread Evelyn Waugh’s Put Out More Flags (shamefully I never have) and told me that the title derives from a quote by a Chinese sage quoted and translated in Lin Yutang’s The Importance of Living…. 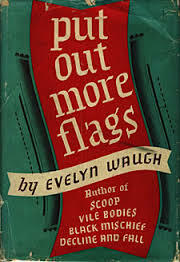 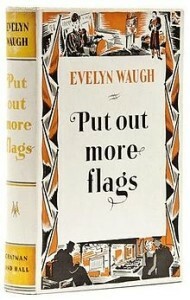 Waugh’s Put Out More Flags was published in 1942 and is a satire on the English in the first years of the war. 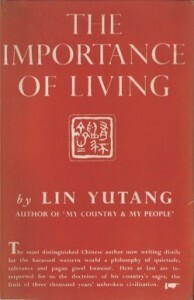 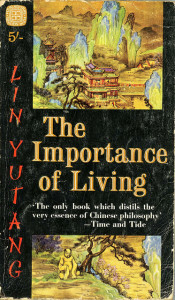 Lin Yutang’s The Importance of Living was published in 1937, quickly beca,e a bestseller (and indeed may still hold the record for the largest number of copies sold of a China book, though Lin’s charming and sophisticated books, notably My Country and My People, are little remembered today. 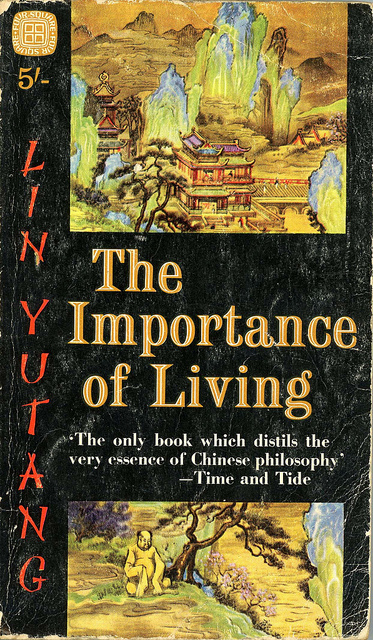 Lin’s tips are still worth reading though – ‘If you can spend a perfectly useless afternoon in a perfectly useless manner, you have learned how to live’ – indeed. 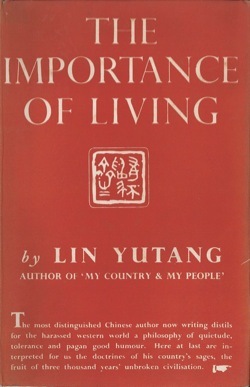 Sadly, though it is clear Waugh read Lin, I can find no reference to the two ever meeting…..